Take time out of the school day for several weeks in the beginning of the school year to teach rules and procedures. Remember that the key to success in the classroom is establishing rules and procedures early on and teaching students how to manage themselves. 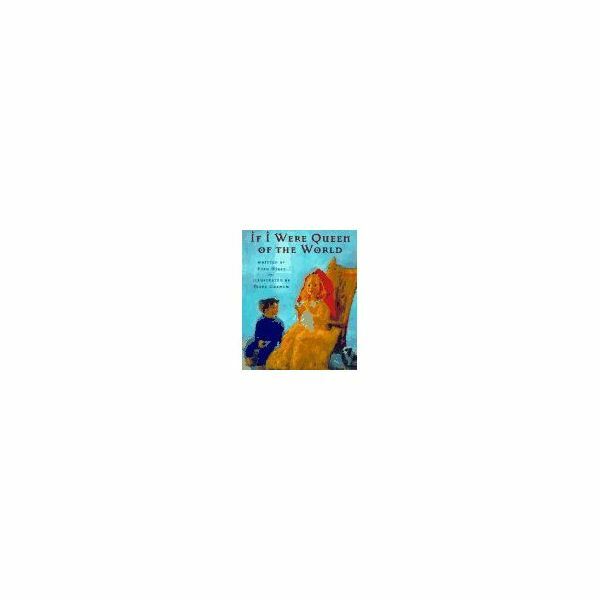 Students will learn that the absence of government and rules can be harmful from the behavior of the main character of If I Were Queen of the World, by Fred Hiatt*. In this story, the little girl pretends to be the "queen" and is very powerful and self-indulgent. She loves her little brother, but is really not even fair to him. For example, she gets a hundred lollipops and he does not. Students of this age can relate to selfishness and self-indulgence. This lesson will cover the NCSS standard 1.6 for Power, Authority and Governance. *This book has limited availability; check your local library. I also found it at Biblio Books. Ask the students to name some rules, and why we need rules. Start a list on chart paper of rule and the reasons they indicate. If they do not say, to keep people safe, then add it to the list. Show students some symbols in society of rules we follow (stop sign, traffic light, exit sign and don't walk/ walk sign). Tell the students that these are symbols of rules. Students will be able to state a rule. Students will be able to state the reasons we have rules. Students will be able to draw a picture of themselves following a rule. Students will be able to dictate a sentence about their pictures. Read the literature connection indicated above. Discuss the main character in the story and if she was fair or not. Tell the students we have leaders and laws in our country to keep people safe, but rules should also be fair to all people. This makes the world a place everyone can enjoy. Ask the students, "Who are the leaders in the school (teachers, adults, and the principal)?" Give students examples of a fair and an unfair rule and ask them to judge if they are fair or not. An example of a fair rule is, walk in the classroom. An example of an unfair rule is, only those wearing blue have to walk in the classroom. Next, tell the students that we have rules for different parts of our school. In the previous lesson plan, students went on a tour of the school (see below). Talk about the rules for the library, cafeteria, hallway, playground and auditorium. Plan a trip to each place and practice what you learned. Last, introduce classroom rules. If you have a behavioral chart or token economy system for the classroom, introduce it at this time. One successful plan is to give students stickers for following the rules and when they earn a set amount, they get to choose a prize for good behavior. Give students a sheet of paper and have them draw a picture of a place in the school or in the classroom of themselves following a rule. Students can dictate a sentence for the teacher to write. Students name a classroom and/or school rule. Students state the reasons we have rules and why they must be fair. Assess the picture- does it show a rule? The student dictated the sentence to the teacher. If possible, obtain a copy of the out of print book, The Selfish Crocodile, by Faustin Charles. This is an excellent book about the crocodile's misuse of power. He learns a valuable lesson about community from a caring and helpful mouse. Establishing Kindergarten rules and procedures is vital to do from day one. Give these young students plenty of time and practice. Gentle reminders go a long way. For example, if a student is breaking a rule say aloud, "Hmm, I am thinking of the rule that we keep our hands and feet to ourselves. This will keep us safe. Do I see someone here who has forgotten this important rule?" More information by Laurie Patsalides about Establishing and Evalutating Classroom Procedures and Creating a Fair Classroom Climate, can be found here at Bright Hub. This lesson is also a part of series on starting the year off right. Hiatt, Fred. If I Were the Queen of the World. Simon & Schuster Books for Young Readers, 1997. Book jacket image courtesy of amazon.com. Lesson plan designed by Laurie Patsalides’ teaching experience.